ArteFill® is the first FDA-approved permanent soft tissue synthetic filler used to eliminate fine lines and wrinkles around the nose and mouth. It is also known in Canada and Europe as Artecoll®. 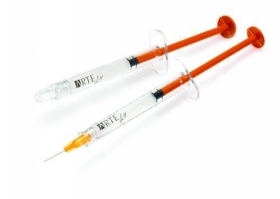 ArteFill® is directly injected into the skin for immediate and long-lasting results. It is made of polymethylmethacrylate microspheres suspended in bovine collagen. This allows ArteFill® to function as a permanent filler. This solution initially functions as a dermal filler, and subsequently causes the body to produce its own natural collagen to naturally replace the injected collagen in the treated areas. For more information on ArteFill® or its potential use for your facial rejuvenation contact Dr. Rayham or RR Plastix staff.